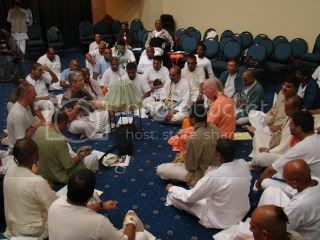 The idea of every devotee having a formal devotee (and hopefully a friend) they can confide in is very important and essential for the health of the Krishna consciousness movement and its members. Some of us try to provide this counseling/friendship online, but personal association is preferred. I have found that often devotees are afraid to admit (or don’t know) they are having emotional/psychological problems, while other devotees are surprised that even a Krishna conscious leader or senior devotee may suffer from them. These factors indicate that we require more awareness of how widespread such problems are. In addition, we need to have a new culture of acceptance among the Vaishnavas that if a devotee needs such help, it is not a failure of their sadhana or spiritual life. If we create such a mature culture then devotees can receive the help they need, gain relief and balance, and thus give improved service at our temples and to the devotees. For instance, I know a number of devotees who had suffered from undiagnosed debilitating depression or anxiety disorders. When they finally were diagnosed and received proper treatment they were able to again serve Krishna peacefully and joyfully, thus functioning well in their life and service. Their only regret is that they waited so long to seek treatment and to gain relief. Though by nature life in the material world is problematic and painful situations unavoidable, certain conditions can be corrected, enabling the devotee to take full shelter of the true solution to all problems—Krishna consciousness practices. The counselor system in Chowpatty, India is similar to the mentor system that many churches in the West use with great success. Additionally, I am in favor of every Krishna conscious center having mental health professionals on staff or at least available for consulting. Temple leaders should also be trained to recognize conduct which isn’t in the normal range of human behavior. This is no indictment against devotees of Krishna, but it indicates that the human condition in this Age of Kali is very disturbed, often dysfunctional. I remember hearing that the famous positive thinker and Christian minister, Dr. Norman Vincent Peale, had many staff psychiatrists at his church, recognizing that in addition to his religious message, mental health professionals were sometimes required. 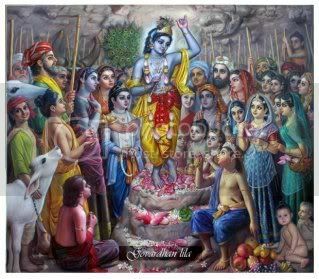 Many people come to Krishna after an intense existential crisis which may include being depressed at the world situation or their prospect for happiness. Their previous sad or materially unfortunate story can be transformed by Krishna consciousness. Through spiritual practice one’s negative orientation to life and self should be eclipsed by the joy and peace of devotional service and by sharing one’s faith with others. If one’s sadness doesn’t dissipate, or if it returns at some point, the devotee’s life needs to be examined to see what might be the problem. It could be a simple adjustment or much more complex. This is where wise devotee elders come into play who can share their practical experience of how to remain a devotee for the long haul. We all have a natural proclivity for a certain kind of work, and if we are not doing what I like to call our “karmic mission” (our life direction) we will feel unfulfilled even if we are engaged in bhakti practices. Every person is different, yet most people need to have an occupation or service that they resonate with and that compliments their psycho-physical nature. Sometimes one’s unhappiness may be due to clinical depression or an anxiety disorder, as I mentioned, and a trained professional can help diagnose this. It is important to understand that all kinds of people come to Krishna, and although their background of suffering is a catalyst for reviving their unfinished spiritual life, it may be so severe that it has to be dealt with professionally—and ideally with a devotee therapist. 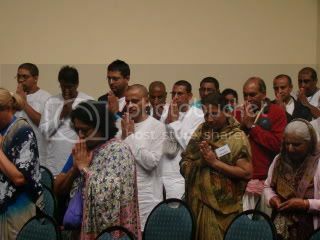 This brings up the point is that we require many devotees to become trained mental health professionals. It is a very rewarding career, especially working with devotees. Prabhupada sometimes considered his temples to be like hospitals where the disease of materialism could be treated. I reason that in addition to the regular “treatment” of sadhana or devotional services, we also need to have trained professional counselors when required. 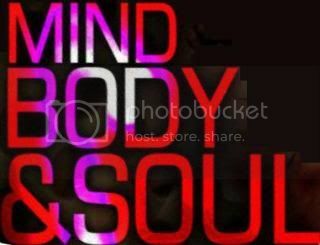 Then we can be a one stop shop and show that we truly care! To sum this blog up, we find that the human condition in this age of Kali is very troubled, and frequently disturbed due to the lack of spiritual values and culture. Often our upbringing is less then ideal and we may have many deficits that need to be examined later in life. 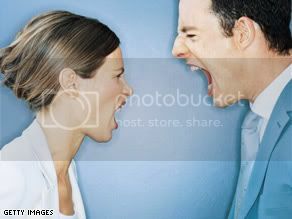 The main problem with an unhealthy or dysfunctional psychology is that it negatively affects our relationships and our ability to derive the most benefit from our spiritual life. We may be more inclined to commit offenses to devotees, and/or have a harsh, critical mentality, thus greatly stalling our spiritual progress. Krishna consciousness is our first line of defense and is so powerful that it can bring us to the spiritual platform. Many devotees have found that their spiritual practices and the knowledge and realizations they have gained have been sufficient for their happy, balanced, and progressive life, both materially and spiritually. However, although not every person needs mental health counseling, in severe cases it is required, and this should be understood and accepted. Every devotee needs the wise council of experienced elders. The real solution to every soul’s problems is reviving their relationship with Krishna or God and engaging in activities which bring out their spiritual nature. Scriptures recommend and I can attest that having a balanced psychology or thinking and acting primarily in the mood of goodness definitely helps our spiritual life. We should be able to personally apply, or if we are mentors, to recommend whatever will support spiritual practices—Vedic, traditional or otherwise. Then we and those we care for can remain steady, happy devotees for the long haul of a lifetime of chanting Hare Krishna and pure devotional service.